Туркменистан – Китай. Пекин не будет нуждаться в российском газе. «..Туркмения увеличит ежегодные поставки газа в Китай на 25 млрд. куб. м. В ближайшем будущем в Китай будет поставляться в общей сложности 65 млрд. куб. м природного газа в год. Ашхабад, с одной стороны, увеличив поставки газа в Поднебесную, снизил свою зависимость от российского рынка, с другой – перешел дорогу «Газпрому» на китайском направлении…. «К 2015 году Китай будет получать из Средней Азии 60–65 миллиардов кубометров газа ежегодно, еще 10 миллиардов кубометров газа из Мьянмы, растет собственная добыча, и до 44 миллиардов кубометров ежегодно составит импорт сжиженного газа из Австралии – все это свидетельствует о том, что к 2015 году Китай не будет нуждаться в российском газе», – сказал аналитик компании RusEnergy Михаил Крутихин. По его словам, заявленные «Газпромом» объемы в 68 млрд. куб. м газа на экспорт в Китай не соответствуют действительности. «Стороны не смогли договориться по цене на поставляемый газ в Китай, а тем временем Туркмения, Узбекистан, Казахстан удовлетворили все потребности Пекина в природном газе. У «Газпрома» в китайском направлении не осталось ниши», – сообщил Крутихин… ». 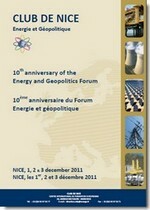 Nice (France) 10th anniversary of the Energy and Geopolitics Forum. The “Club de Nice” has been initiated by request of the City of Nice and is run by the Institut Europeen des Hautes Etudes Internationales in cooperation with the Russian Academy of Sciences and the Centre de Recherches Enttreprises et Societes of Geneva. Its main goal is to offer public and private leaders in the field of energy a regular place to meet and discuss their specific problems in a constantly changing world. The work conducted as usual in partnership with the Russian Academy of Sciences bears upon the main topic global energy themes and the impact of their development on energy policy in Europe and Russia. Chairman: M. Valery KOSTIOUK, Secretary General of the Russian Academy of Sciences. 5.00‐6.00 pm Presentation of « Geopolitics of Energy », a book co‐produced by the Russian Academy of Sciences and Club de Nice Energie & Geopolitique. 9.00‐11.00 am Round table 1: Oil and gas: producing countries and political risks The events that marked most Southern Mediterranean and Middle Eastern countries in 2011 revived the debate on the high political risks in international energy relations. Such risks are particularly high for European countries, obviously, as they rely heavily on external sources. What impact does this have on their basic energy policy decisions? Above and beyond national policies to diversify sources and suppliers, can a European approach be envisaged? Are solidarity mechanisms ‐ as in matters of finance ‐ conceivable? What lessons can be learnt for relations with Russia? 11.00 am‐1.00 pm Round table 2: Public action and energy policy The recent catastrophes at Deep Water Horizon and in Fukushima have raised the question once again of the compatibility of the interests of private companies with those of society in general. Today more than ever, defining and implementing an energy policy would seem to call for compromise. Given the power of the companies ‐ which knows no borders ‐, and the different levels of public regulation (local, national and international), what kind of control is possible? 2.30‐4.30 pm Round table 3: What future for nuclear power? The Fukushima catastrophe was widely covered in the media, triggering a tidal wave of emotion all over the world. At the very time when nuclear power seemed to be taking off again, Fukushima caused decisions that had already been taken to be hastily reconsidered and occasionally overturned. A scientific, technical, economic and political debate on nuclear power and on the conditions for harnessing it is now vital, particularly for Europe and Russia. 4.30‐6.30 pm Round table 4: Energy efficiency and partnership in the Europe‐Russia dialogue Russia has a lot to gain from better energy efficiency, both in terms of the energy savings that could result (several hundred million TOE between now and 2020 according to the European Commission) and in infrastructure investments required for developing a suitable policy (over 700 billion euros according to the same source). In a policy document entitled “Energy Strategy to 2020″, Russia has embraced this challenge as one of its major objectives. It also constitutes a key topic in energy discussions with the European Union. Extending the partnership in this field emerges as a jointly beneficial priority. 9.00‐11.00 am Round table 5: Energy and Mediterranean cooperation For those who live on its shores, and in particular for Europeans, the Mediterranean is becoming the linchpin in energy security policy. Over 30% of Europe’s consumption has traditionally transited through the Mediterranean, and this role is set to develop with increased gas imports from Central Asia and Russia, extensions to oil and gas pipeline networks in the zone, and growing methane traffic (Algerian, Libyan and Nigerian LNG heading for Europe). This evolution is of major importance to Russia; the country is not only a keen observer, but also a key player. Furthermore, the complementary nature of energy interests in the South with its exports, and in the North as a natural client out of necessity, opens avenues for cooperation in line with global tendencies towards energy diversification. Projects such as “Désertec” (for the mass production of solar energy in the Sahara), and “Transgreen”, now called “Medgrid” (to carry that solar energy to Europe via the Mediterranean), are part of the Union for the Mediterranean’s “Solar Plan”. 11.00‐12.30 am Summary of debates. Conclusions. Запад и Россия, разные подходы к секс-меньшинствам. В США и Европе консерваторы не одно десятилетие безуспешно воевали против гомосексуализма. Голубых не вылечишь медикаментами, не перевоспитаешь аргументами и наказаниями. Как и наоборот — никакой голливудский китч о геях-ковбоях не может превратить гетеро в гомо. 5 процентов всегда будет 5 процентами. Russia – Nato, missili strategici con testate elettorali. La Russia ha intenzione di dislocare propri missili e sistemi informativi sofisticati nell’enclave di Kaliningrad sul Baltico, in Bielorussia e nella regione meridionale di Krasnodar se il negoziato con gli Stati Uniti per il cosiddetto “Scudo spaziale” europeo non desse risultati positivi. Mosca non è così sicura che gli occidentali vogliano costruire questo mantello per difendersi da eventuali lanci iraniani. Il vero obiettivo segreto, si teme al Cremlino, potrebbe essere proprio l’ex superpotenza comunista. 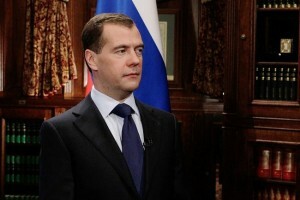 L’annuncio di Medvedev giunge in un periodo davvero complicato. Da mesi russi ed americani stanno trattando dietro alle quinte sulla creazione di un sistema di difesa antimissilistico comune europeo. Le reciproche diffidenze non permettono, però, ancora il passo decisivo che porti ad un accordo, la cui data ultima sarebbe fissata prima del vertice Nato di Chicago del maggio 2012. In caso di fallimento vi è il rischio di una prossima nuova “Guerra Fredda”. A cui, tuttavia, sono in pochi a credere. Uno dei principali meriti della presidenza Medvedev in politica estera è stato proprio lo scongelamento dei rapporti con Washington dopo il gelo tra Bush e Putin. Il capo del Cremlino uscente sta ora semplicemente battendo i pugni sul tavolo per difendere le richieste russe davanti ai troppi “no” americani. Secondo gli specialisti militari gli occidentali non hanno alcuna intenzione di abbandonare i loro progetti sullo Scudo europeo. E se Mosca desse seguito alle sue minacce commetterebbe un errore strategico imperdonabile isolandosi e buttandosi tra le braccia della Cina. La dichiarazione di Medvedev va letta anche in chiave di politica interna. Il 4 dicembre si vota in Russia per le legislative e, stando ai sondaggi, le cose non vanno secondo i piani del Cremlino. La sua formazione, Russia Unita, dovrebbe vincere le elezioni, ma non in maniera così convincente come Putin e Medvedev sperano. I fischi al premier, allo stadio moscovita Olimpiskij, sono stati un campanello d’allarme, suonato anche in altre città. 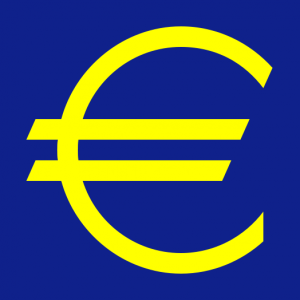 La crisi economica, importata dall’Occidente, si inizia a sentire e le misure fin qui adottate paiono essere non convincenti. Turkmenistan and China, gas and economic cooperation. Relations between Turkmenistan and China are long-term and strategic. “These relations stood the test of time, proven their efficiency and now are a major factor of stability and development in the Eurasian space,” President Gurbanguly Berdimuhammadov said in an interview before his official visit to Beijing. 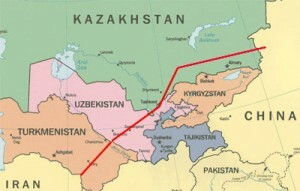 In December 2009 Turkmenistan-China gas pipeline was commissioned. “This is an outstanding event. This project is of strategic importance for both sides, meets long-term interests of Turkmenistan and China, as well as logic of global economic development, in which energy supplies play an increasing role,” Berdimuhammadov told Chinese journalists. The Turkmen leader stressed that Ashgabat jointly with Chinese partners is working on further increase in the supply of Turkmen gas to Beijing in view of increasing demands in China’s economy and great opportunities of Turkmenistan’s resource base. “China is not just a huge and great country, a powerful global economic and industrial centre, a vast and promising market for Turkmenistan. It is a reliable and trusted friend,” Berdimuhammadov highlighted. 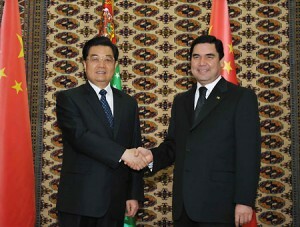 At the same time China is ready to work with Turkmenistan to create a good environment for their business cooperation. Cooperation between the two countries has seen achievement in economic, trade, energy, transportation and other fields in recent years, Chinese Vice Premier Wang Qishan told at a business forum. In last weeks Ashgabat issued an angry response to Russian scepticism over the size of its natural gas reserves and reinforced its ambition to find new energy markets in Asia and Europe that will cut its dependence on the Kremlin. BP data ranks natural gas reserves in Turkmenistan, a Central Asian nation of 5.4 million, as the world’s fourth-largest. The country is seeking alternative export routes to meet its goal of more than tripling natural gas output by 2030. Auditor Gaffney, Cline & Associates has ranked the South Iolotan natural gas field as the world’s second-largest after South Pars in Iran, saying last month it could contain between 13.1 trillion and 21.2 trillion cubic metres. But Alexander Medvedev, deputy chief executive of Russian gas export monopoly Gazprom, called these estimates into question. “I believe that there are no grounds … and no reason to make such statements that there is such a natural deposit with reserves of this scale,” Medvedev said. Ashgabat, at odds with Moscow over its plans to export gas to Europe, issued a strongly worded statement, expressing “bewilderment over the biased assessment by a professional” and calling Gazprom‘s remarks “utterly tactless”. Turkmenistan has expanded gas exports to next-door Iran and launched a pipeline to China. It has also won strong support from the European Union and the United States for plans to supply gas to a trans-Caspian pipeline that will run to Europe via Azerbaijan. Turkmenistan’s annual natural gas output is estimated to have averaged around 70 billion cubic metres in the 20 years of independence from the Soviet Union. Turkmenistan aims to produce 230 bcm of the fuel annually by 2030. Russia, campagna elettorale. Colpi bassi e fischi. Fischi, ululati, urla di disappunto. 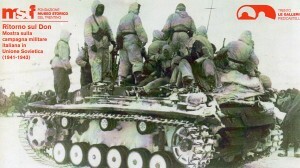 Domenica sera all’arena Olimpiskij i solitamente freddi ed apatici russi hanno perso la loro proverbiale pazienza. Lo spettacolo, a cui avevano appena assistito, non era certo per signorine. Per ore degli energumeni si erano massacrati di botte nella “lotta senza regole”, uno speciale tipo di arti marziali in cui vale proprio tutto. Dopo tre sconfitte consecutive il campione locale Fiodor Emeljanenko era finalmente riuscito a sconfiggere l’americano Jeff Monson. I 22mila dell’Olimpiskij festeggiavano contenti. Tra loro anche il premier Vladimir Putin, che, ad un certo punto, ha avuto la brillante idea di salire subito sul ring per stringere la mano al campione ritrovato. Non l’avesse mai fatto. Mentre due allenatori portavano via a fatica il bisonte americano, pieno di sangue ed ancora tramortito per le botte prese, il primo ministro ha iniziato al microfono a tessere le lodi di Emeljanenko. Dopo alcune timide urla dalle tribune è subito partita una fortissima e prolungata bordata di fischi che hanno coperto le parole di Putin. Facilmente immaginabile l’imbarazzo dei giornalisti che commentavano la riunione sportiva in diretta televisiva. Blog e giornali hanno prontamente messo in rete il video con il vero sonoro. I notiziari dei canali federali hanno, invece, censurato l’incidente. Siamo in campagna elettorale e il partito del potere “Russia Unita” tenta di cavalcare, con modi davvero poco rispettosi e sfacciati, qualsiasi evento. La cosa disturba e non poco. Per di più, prima della riunione all’Olimpiskij tutta la zona intorno allo stadio era stata isolata dalla polizia per permettere al premier ed ai notabili di Stato di arrivare in sicurezza, creando enormi problemi all’afflusso degli spettatori. 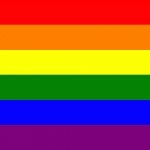 Migliaia sono stati i commenti postati sul web. E’ difficilissimo trovarne alcuni a difesa del primo ministro, che viene generalmente apostrofato in maniera pesante ed irriverente. Mai Putin, in 12 anni di potere, era stato contestato pubblicamente. “E’ la fine di un’epoca”, sostengono numerosi osservatori che sottolineano come la situazione economica in Russia stia diventando difficile e la gente inizia a mal sopportare la protervia di Russia Unita soprattutto nelle province. Domenica 4 dicembre si vota per le legislative, ma la sensazione generale è che la partita sia chiusa da un pezzo. Ai partiti liberali e riformisti anti-Cremlino non è stata nemmeno permessa la partecipazione al voto per varie ragioni giuridiche. Le altre compagini appaiono senza mordente e fanno il gioco di Russia Unita, che ha come capolista il presidente uscente Medvedev. Uno degli appelli, che più ripete su Internet, è “votate per tutti, ma non per il partito del potere”. Video del capitano del Traktor di Celjabinsk Antipov che, sempre domenica alla fine di una partita di hockey, legge un messaggio elettorale a sostegno di Russia Unita. Fischi anche per lui. Campagna di Russia 1941-43 in mostra a Trento. “Sta per iniziare un periodo pieno di anniversari e ricorrenze”, così il professor Alim Morozov prima della partenza per l’Italia. Anche il Museo del Medio Don di Rossosch partecipa a Trento all’esibizione sulla Campagna di Russia. “Il 2012 – continua lo specialista russo – segna il 70esimo anniversario degli eventi bellici nella regione di Voronezh, il gennaio 2013 della battaglia di Nikolajewka e nel settembre 2013 cade il ventennale della costruzione dell’Asilo a Rossosch da parte dei volontari dell’Associazione Nazionale Alpini. Bisogna prepararsi al meglio”. I primi incontri organizzativi si sono svolti nei mesi scorsi. Tra i più attivi sono gli iscritti della sezione ANA di Brescia. Intanto, però, godiamo la bella mostra di Trento. Diversamente dalle letture tradizionali – dove la campagna di Russia condotta dall’Ottava armata italiana è ridotta alla ritirata alpina del gennaio 1943 – la mostra Ritorno sul Don vuole riprendere la storia di quella sventurata e tragica spedizione nel contesto della “guerra di sterminio” condotta dalle truppe germaniche in URSS. I video, le fotografie, le mappe collocati nella Galleria nera scandiscono la cronologia di una guerra totale: dall’Operazione Barbarossa scatenata da Hitler con l’obiettivo di annientare l’URSS, all’assedio di Leningrado e Mosca, fino all’offensiva del giugno 1942 che porta le truppe tedesche nel bacino del Don e poi sul Volga, all’assedio di Stalingrado. Dentro questo grande affresco i visitatori troveranno, come un filo rosso, la guerra degli italiani, dalla partenza del primo contingente, il 10 luglio del 1941, al dolente rientro dei superstiti nella primavera del 1943 dopo la disfatta dell’Ottava armata. La Galleria bianca si apre con una sezione dedicata alla macchina della propaganda bellica del regime fascista che subito inquieta per la sua violenza e per l’aggressivo antisemitismo. Dalla propaganda si passa al lascito memorialistico, fiorito copiosissimo nei decenni che seguirono la fine del conflitto. Le sofferte memorie dei reduci spesso testimoniano una travagliata maturazione umana e politica. L’ultimo tratto della Galleria bianca porta i visitatori nella Russia di oggi: a Mosca, a Voronezh, a Rossosh’, divenuti dopo il 1989 i luoghi del confronto tra opposte memorie, i luoghi della ricerca e di una rilettura di quella che per i russi rimane la “grande guerra patriottica”. Без Берлускони Россия более изолированa в диспетчерской мира. «…“La festa è finita!” То есть “праздник закончился”. Американцы употребили бы известное выражение “game over”, а французы, как в казино, “les jeux sont faits”. Целая эпоха уходит в учебники истории. И это не только сам премьер-министр Италии Сильвио Берлускони, самый большой друг России на Западе, — это вся “вторая республика”, родившаяся после окончания “холодной войны” в начале 90-х годов, тает как снег на солнце. Прекрасно помню дни встреч «Большой восьмерки» в Генуе в июле 2001 года. Буш, Путин и Берлускони (все — новички) не могли найти себе места, когда другие мировые лидеры, уже давно знакомые между собой, выстроили перед ними нечто похожее на забор в личном общении. Как хозяин саммита, в Генуе Берлускони заложил фундамент для того, чтобы в мае 2002 года в Пратике Ди Маре Россия и НАТО подписали соглашения о сотрудничестве и создали совместный совет. Потом, в следующие годы, Кавалер неоднократно публично выступал как «адвокат» Москвы. И слава Богу, что он помог остановить военные действия в Грузии в августе 2008 года. Благодаря его предпринимательскому инстинкту экономические отношения между нашими странами вновь расцвели после сложных 90-х. Компании «Эни» и «Газпром» стали стратегическими партнерами, и на мировых рынках с ними пришлось считаться. Хоть самое важное соглашение в энергетической сфере было подписано все же Проди. Отношения Италии с Россией при Берлускони были хорошими в разных сферах. Даже на социальном уровне был заключен государственный договор об усыновлении российских сирот. Так что будущего не надо особенно бояться. Сегодня Италия и Россия имеют совместную комиссию, поэтому высокий стандарт межгосударственных отношений будет гарантирован. Просто наверняка в них будет меньше пафоса. В то же время ясно другое. Владимир Путин лишился своего Кавалера-друга-адвоката, и в будущем Россия может почувствовать себя более изолированной в диспетчерской мира». Статья Джузеппе Д’Амато Московский Комсомолец № 25796 от 14 ноября 2011 г. Giuseppe D’Amato Moskovskij Komsomolets. Кризис евро: Европа на гране выбора. Россия в опасности. Проект единой валюты родился с падением Берлинской стены как компромисс. Европейцы убрали все препятствия для немецкого воссоединения, а Германия отказалась от марки. 17 из 27 государств-членов ЕС создали еврозону, отказались от части своего суверенитета и делегировали стратегические финансовые функции ЦБ во Франкфурте и Еврогруппе (собранию 17 министров экономики стран-членов зоны евро). А что происходит у нас сейчас? Ответ прост: строится Европа XXI века. Наверное, в странах, где царит вертикальная власть, этот момент не совсем понятен. У нас нет правящего государя, а есть лидеры, которые стараются договориться и найти удобный всем компромисс. Это очень трудное дело, особенно во время кризиса, когда необходимо спешить. Европейские лидеры на уровне сообщества знают, какие меры (непопулярные) нужно применять, но тормозят из-за внутренних национальных расчетов. Но вернемся к России, для которой этот кризис представляется большим риском, несмотря на солидные валютные резервы. Можно задать один вопрос, на который пока никто официально не ответил: почему идет столь масштабное бегство капитала из страны, что подтверждает Банк России? Ответа на него я давать не буду, предположу лишь, что первыми, кто не уверены в будущем своей страны, являются сами россияне. Далее. Если России не хочется играть в пользу Китая (вам не достаточно истории с ценой газа для Пекина? ), то вашим властям не надо вводить людей в заблуждение. Рецепт исцеления мировой экономики — вовсе не в БРИКСе, который скоро начнет страдать от затяжных невысоких темпов роста Европы и США и, не дай Бог, от рецессии. Во всяком случае, это очень похоже на идею лечить аспирином сломанную шею. Нет, понадобятся согласованные общемировые решения. Такие, например, как ограничение возможностей для спекуляции, которая способна разрушить экономики здоровых государств, и наведения порядка в отношениях с Пекином. Но в Каннах, на Большой двадцатке, об этом почему-то не говорили. И последнее. Вызывают тревогу новости о грядущем нападении на Иран. В 2008 году уже была попытка скрыть ужасы Уолл-стрита за ширмой конфликта в Южной Осетии. А историки подтверждают, что США ушли от депрессии 30-х годов только после Второй мировой войны». Статья Джузеппе Д’Амато Московский Комсомолец № 25795 от 12 ноября 2011 г. Giuseppe D’Amato Moskovskij Komsomolets. Polish priorities in next 4 years. 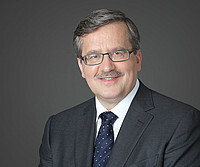 The need for economic growth, the demographic changes, and the preparation for entering into the eurozone are the top three priorities for Poland in the next four years according to President Bronislaw Komorowski. The head of State gave a speech at the new Parliament lower house Sejm’s inaugural meeting. Poland must pay attention to growing life expectancy, and low total fertility rate. “The forecasts give a reason to worry and require a deep analysis,” he highlighted. The necessary steps should include “public debate about gradual increase of retirement age” to assure decent pension benefits, “support for responsible parenting” and completing the healthcare system reform.